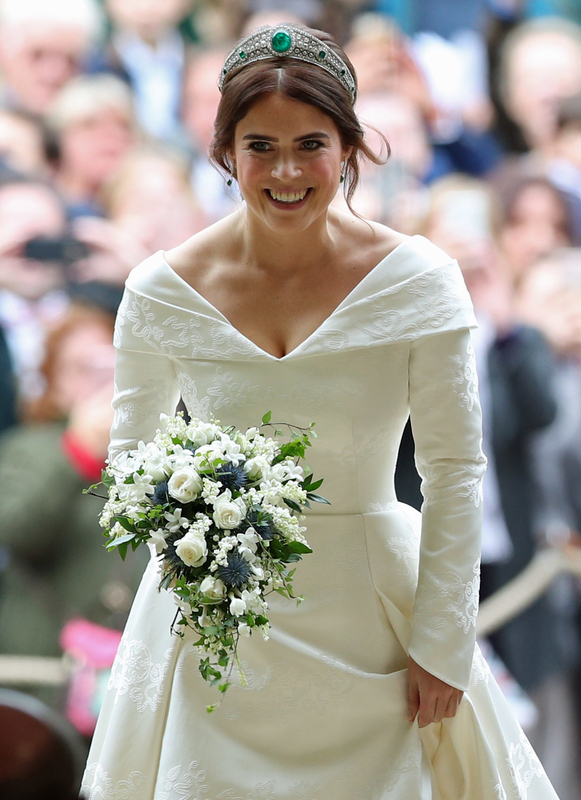 Princess Eugenie drew admiring glances from guests as she walked down the aisle at St George’s Chapel, Windsor in a stunning floor-length gown. 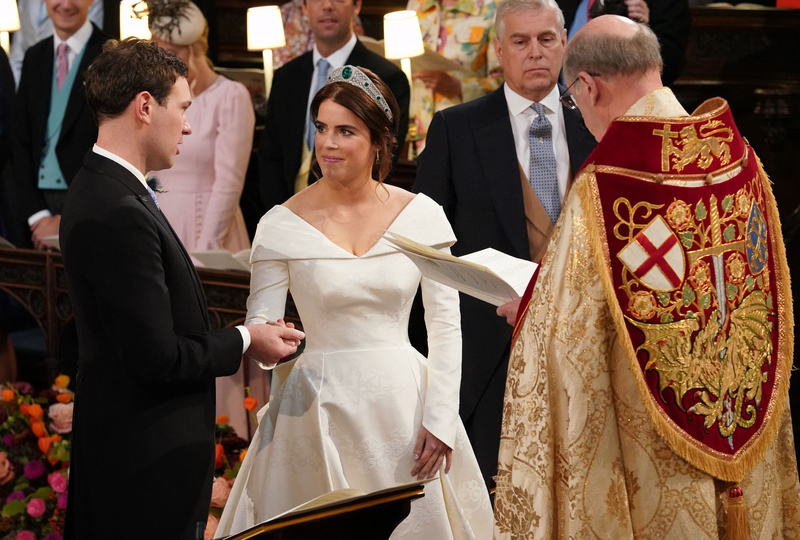 Princess Eugenie walked up the aisle to marry Jack Brooksbank in a gown designed by London-based design duo Christopher de Vos and Peter Pilotto. The satin white off the shoulder dress was floor length with long sleeves. Unlike Meghan she wasn’t wearing a veil, but instead had a dress with a low back, to show off her scars from a back operation she had when she was younger. 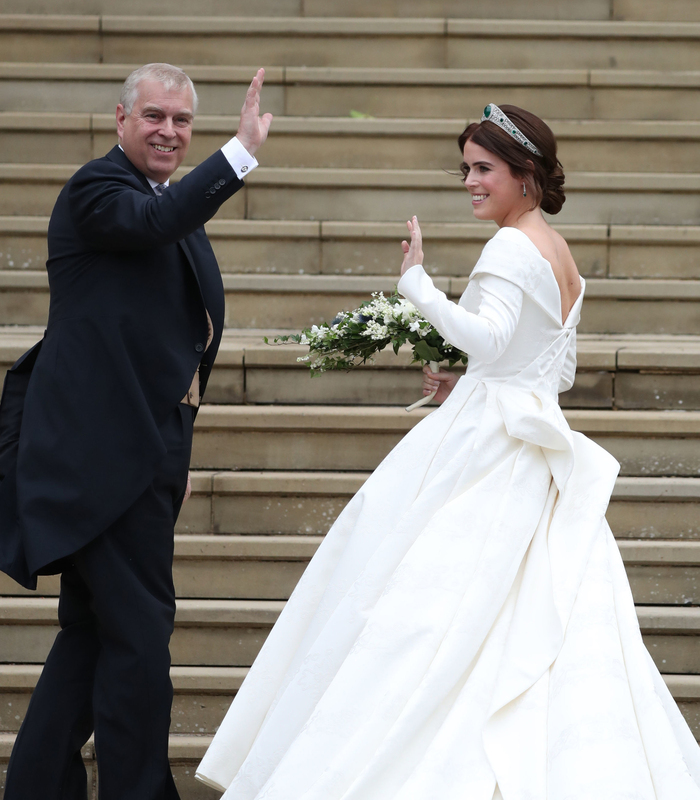 READ MORE: What did Maid of Honour Princess Beatrice wear to her sister’s wedding?